if you are now taking a prescription monoamine oxidase inhibitor (MAOI) (certain drugs for depression, psychiatric or emotional conditions, or Parkinsonâ€™s disease), or for 2 weeks after stopping the MAOI drug. If you do not know if your prescription drug contains an MAOI, ask a doctor or pharmacist before taking this product. adults and children 12 years and over: take 1 tablet every 4 hours. Do not take more than 6 tablets in 24 hours. 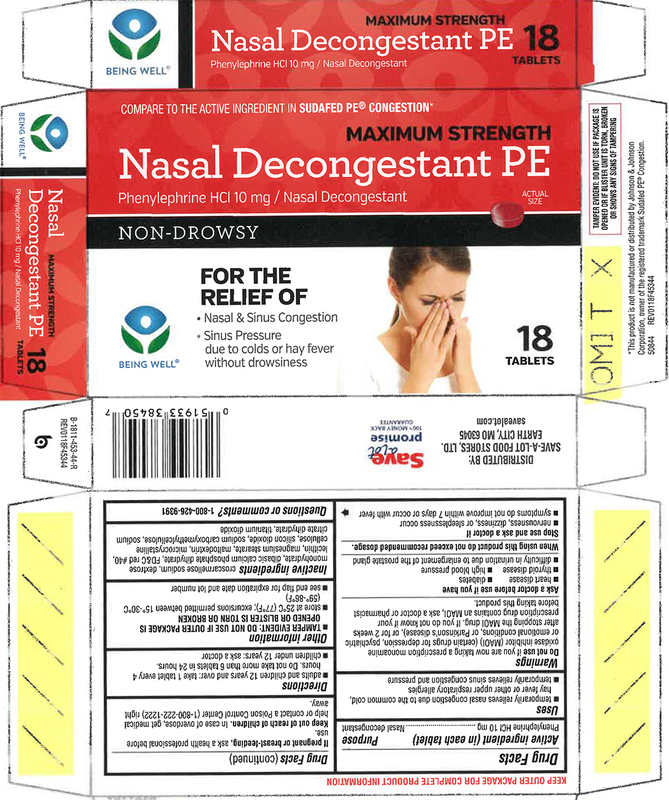 *This product is not manufactured or distributed by Johnson & Johnson Corporation, owner of the registered trademark Sudafed PE® Congestion.